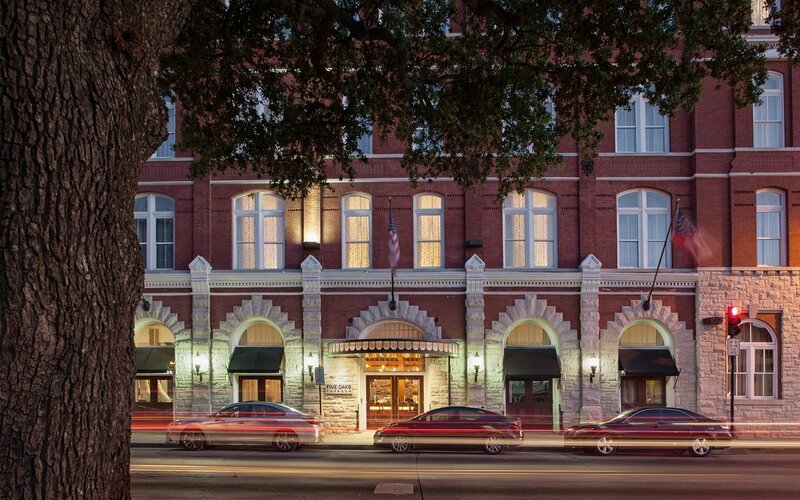 The Hotel Indigo Savannah Historic District stands at the corner of Bay and Jefferson Streets. Originally known as the “Grand Lady of the Bay,” the 19th century architectural masterpiece once housed Georgia merchant Simon Guckenheimer. 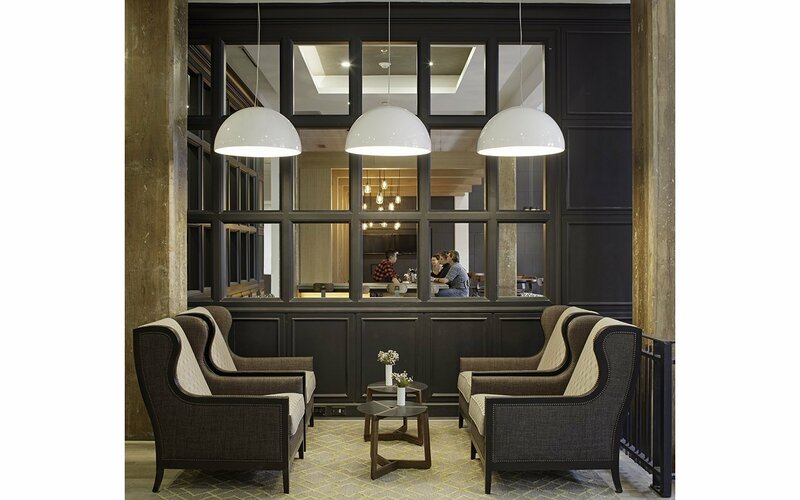 A recent overhaul transformed the building, an existing hotel property, into a boutique hotel under the IHG (International Hotel Group) Hotel Indigo flag. The property includes the circa 1891 Guckenheimer Building and a more recent addition. At 252 rooms – of which 57 are suites – the new hotel is one of the largest Hotel Indigos. Known for its hospitality and casual, lively atmosphere, Savannah is a vibrant city. 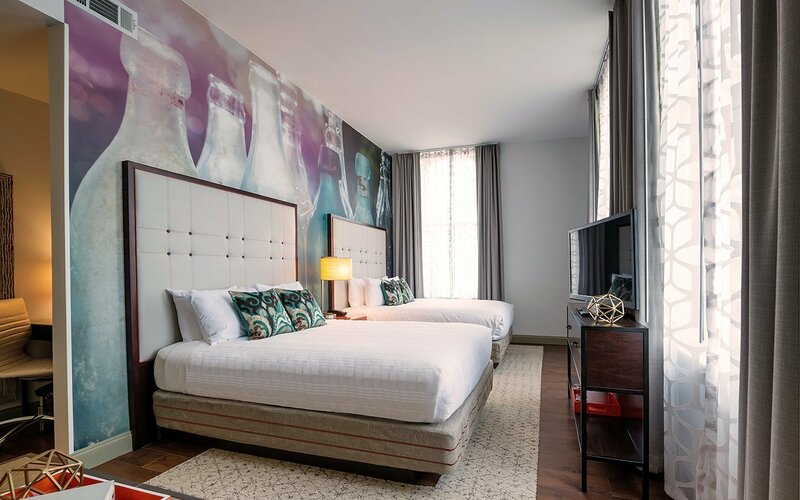 In keeping with Hotel Indigo’s brand focus on local identity, the designers looked to the history of the building and site, as well as the culture and personality of the surrounding city itself. 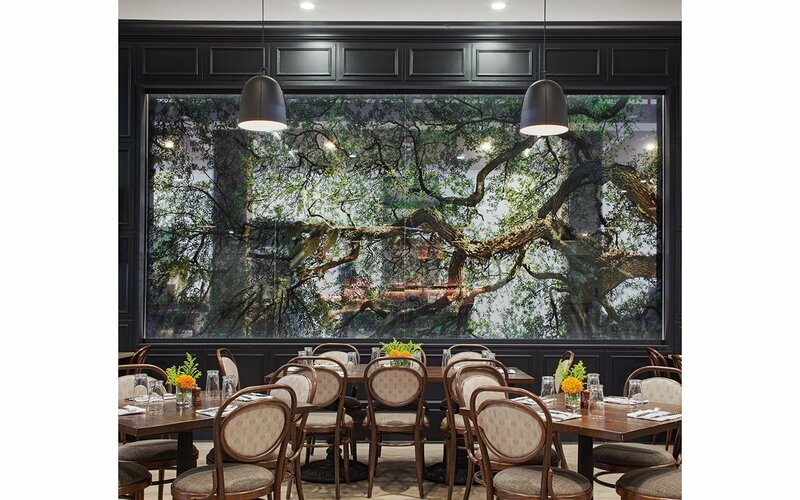 The result is a quirky blend of unstudied elegance and vintage/industrial flair intrinsic to Savannah’s unique mix of southern charm and grit. 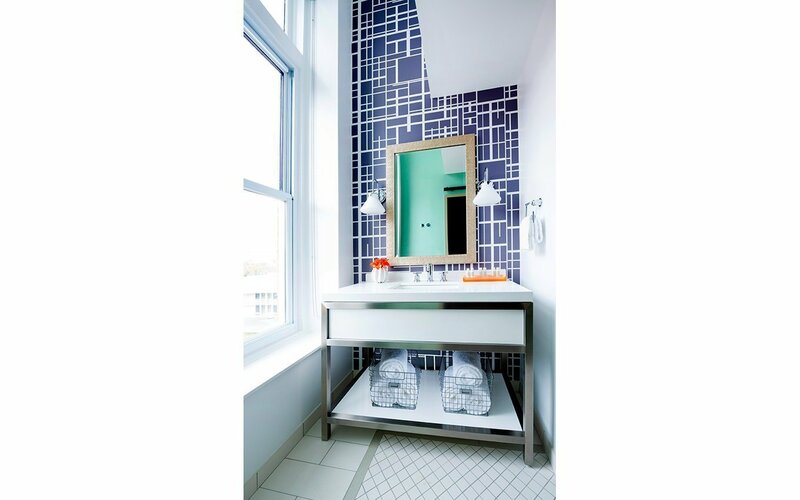 The design brings a casual, fresh atmosphere within a vintage shell. 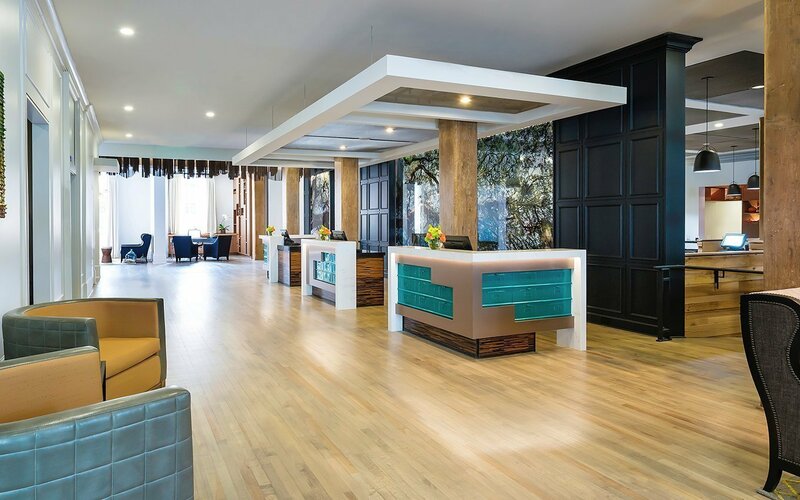 Taking cues from the hotel’s location within Savannah’s historic market district and the Guckenheimer Building’s original use as a supplier/purveyor, the team focused on exposing key elements of the building – floors, brick walls, and structural wood timbers – back to their original beauty. This backdrop, softened by fabrics rich in texture and pattern, is counterpoised with more sleek, contemporary, and often whimsical elements. 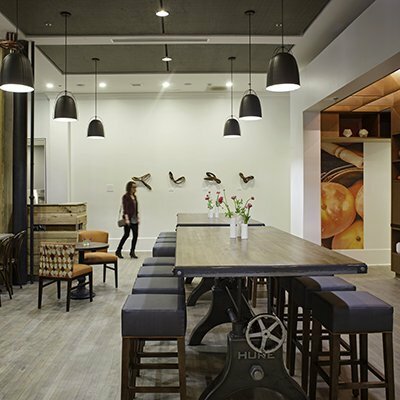 A key design goal was to create well-appointed, comfortable public spaces where guests can feel at home yet still steeped in and engaged with the city. Newly expanded bar and lounge areas open up to beautiful, tree-lined Bay Street, encouraging guests, locals and passers-by to dine and linger. 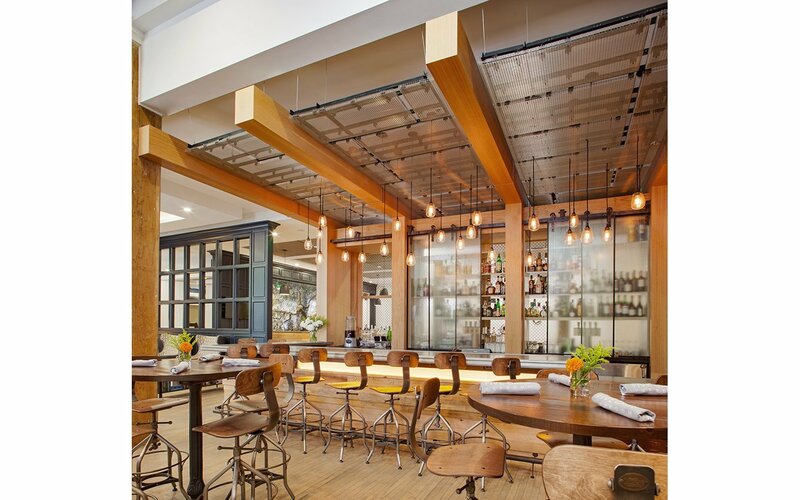 The breakfast café transforms into a casual spot for a beer, conversation, or just re-grouping after a shopping trip. Outdoor dining spaces – functional year round – are also newly renovated and expanded; guests can enjoy a drink or dinner while listening to music from the nearby open-air City Market. 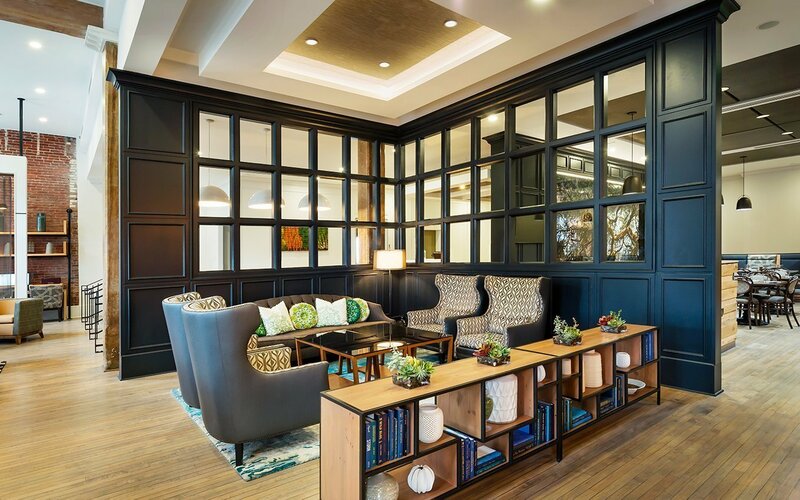 The main floor contains the hotel’s primary public spaces, framed and delineated in ways that speak to the hotel’s location and history. Considerable design focus was placed on enabling the public areas to transition easily throughout the day and evening, and to accommodate all the necessary programmatic functions within a relatively limited area. 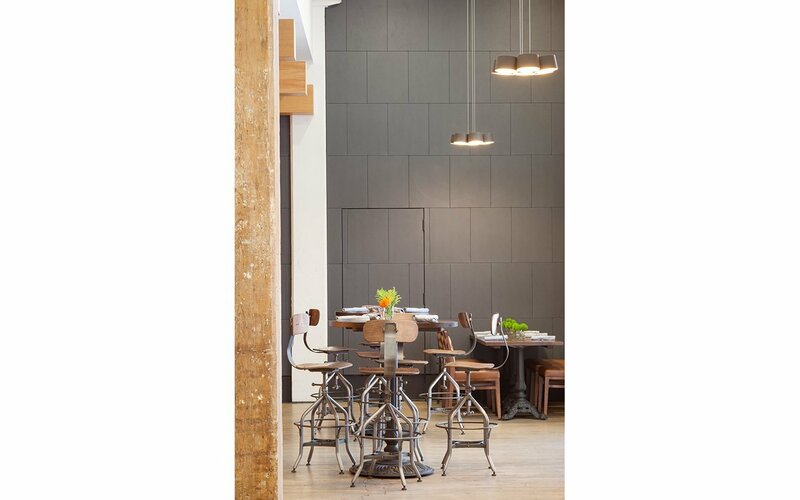 For example, the public side of the wall enclosing the kitchen is lined with cabinets that allow the breakfast buffet area and equipment to be hidden or exposed, facilitating the post-breakfast transition to café and hangout space. Each of the 252 guest rooms and suites are also completely renovated. 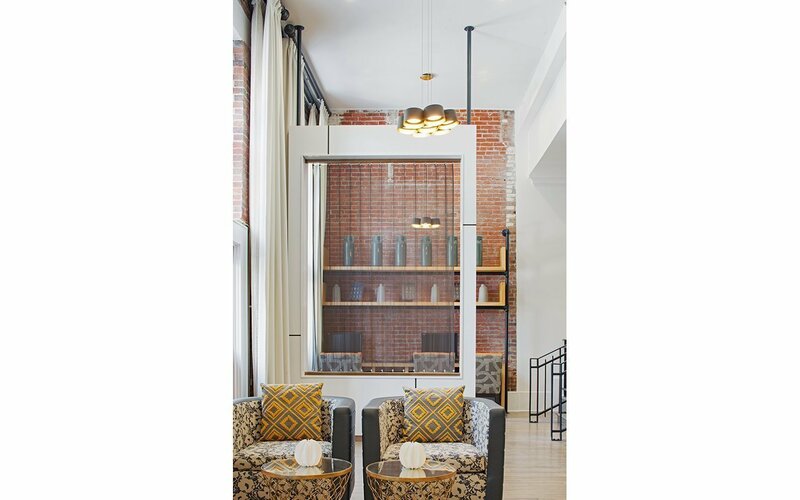 Suites in the historic building take advantage of the building’s architectural heritage, with exposed brick and beautiful arched windows offering river and city views. On the 4th floor, several suites expand into the attic, becoming a 2-story space with a spiral staircase linking levels. Guest rooms and suites are fully appointed with up-to-the-minute amenities and refined, but comfortable, furnishings.